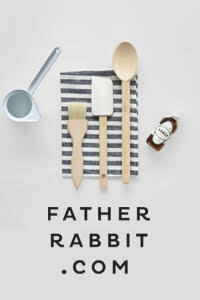 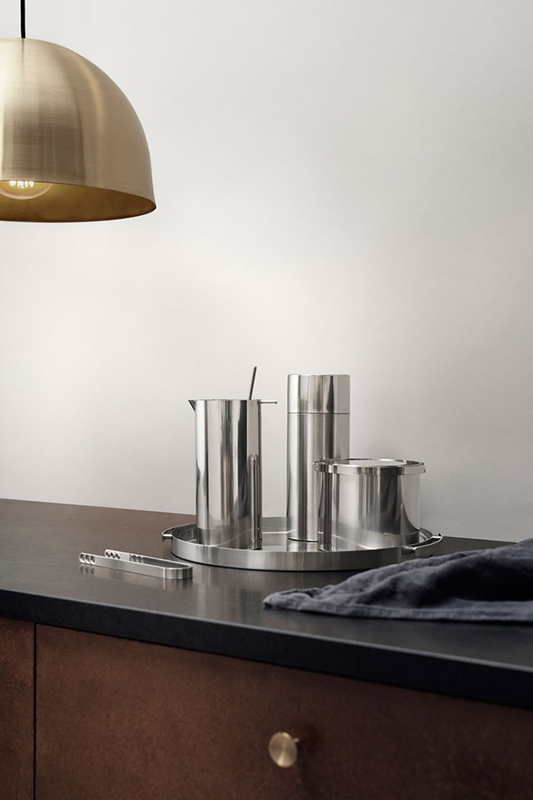 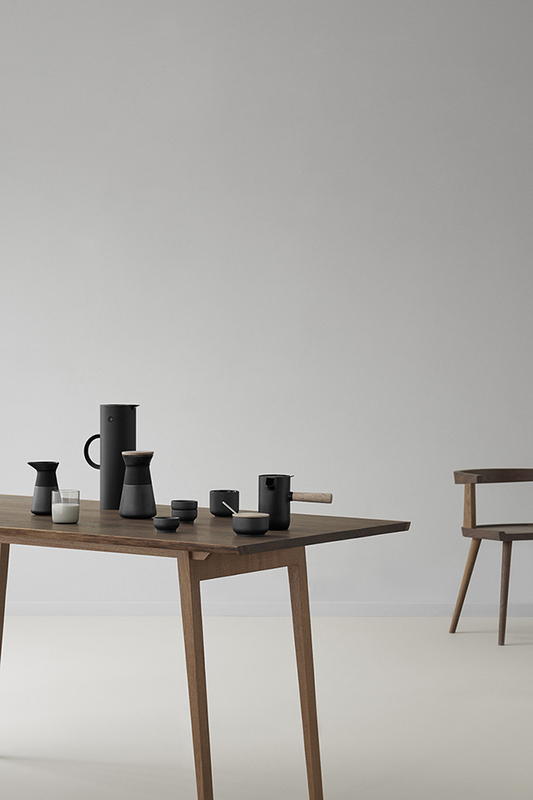 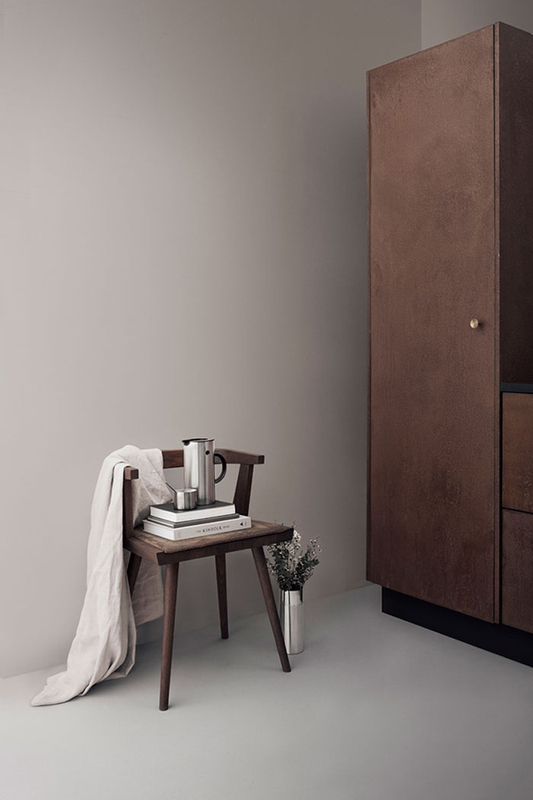 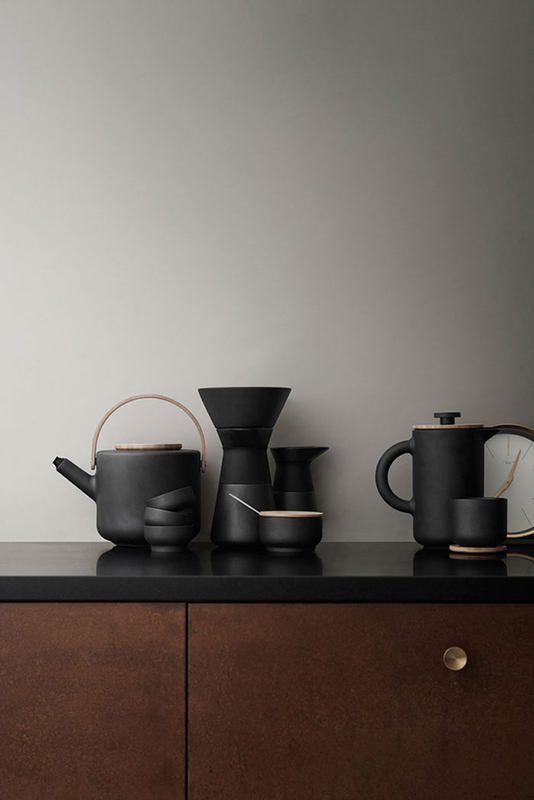 A design brand synonymous with timeless Scandinavian design, Stelton have just announced news of the Autumn-Winter 2016 collection, and there is so much to love. 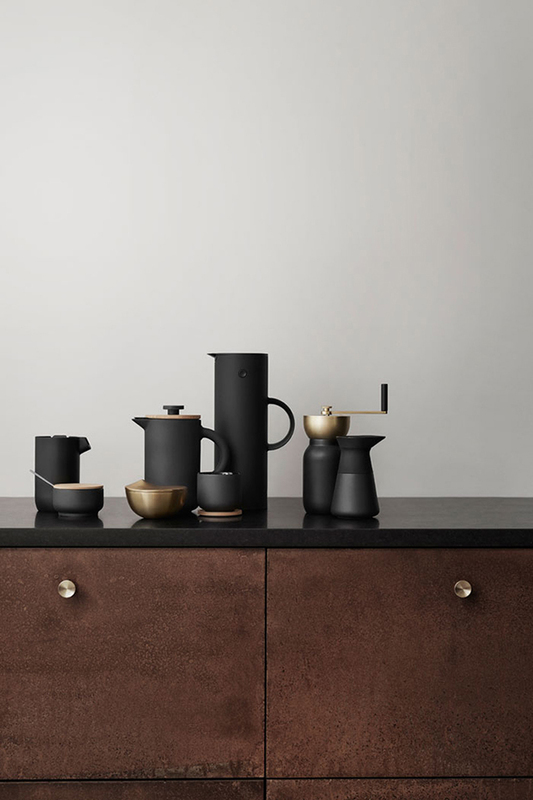 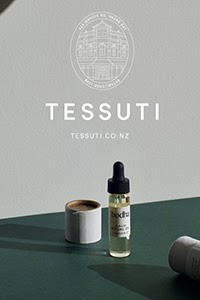 The launch includes a new series Collar designed by Italian Duo Something, and two beautiful new additions to the Theo collection; a brass grinder and new brewing pot. 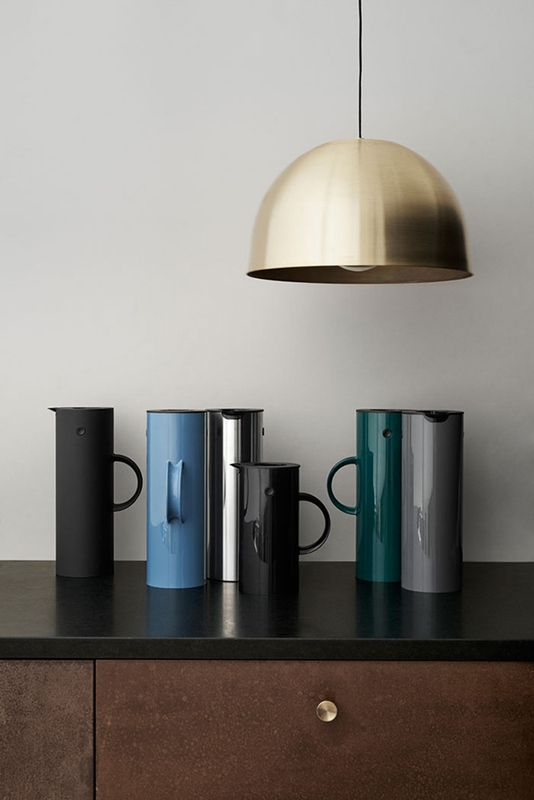 For those wanting to inject some colour into their kitchens, the iconic EM77 Vacuum Jug is being released in two gorgeous new shades, Dusty Blue and Pine Green. 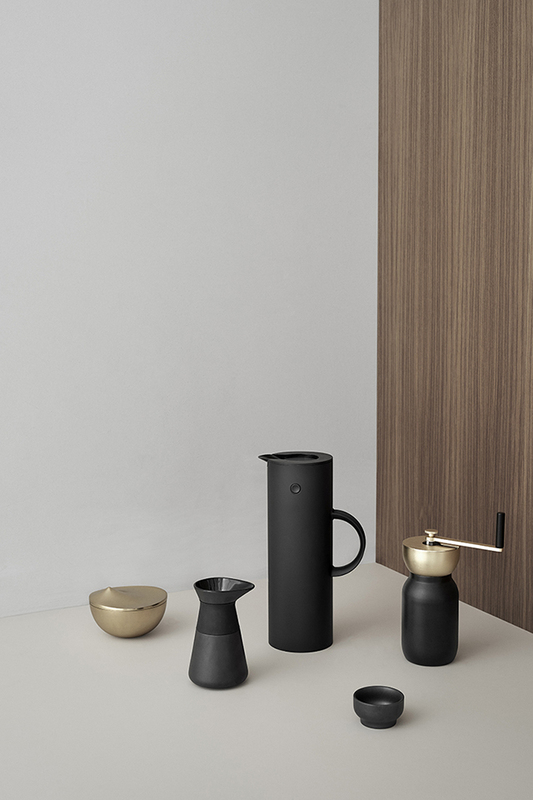 Styled to perfection, the dark walnut timber compliments the black, brass and stainless steel products beautifully. 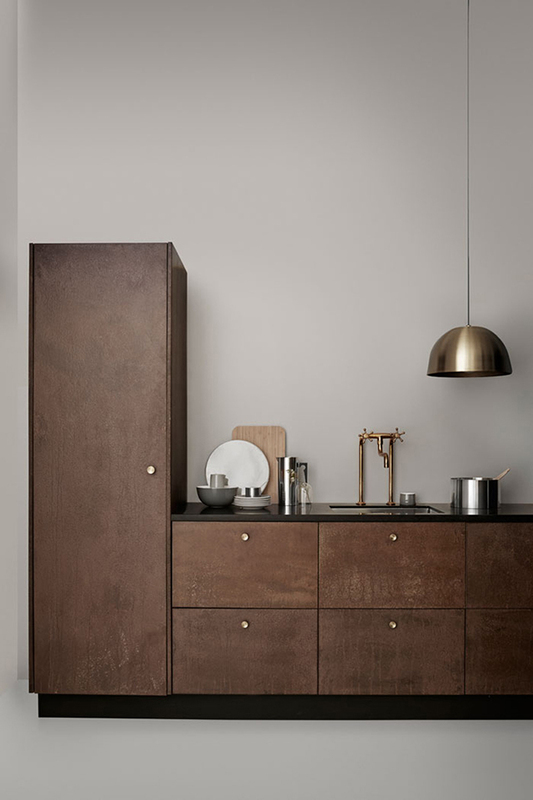 would love to know what material the cabinets are?